Don was born in Winnipeg on 12 July 1929. He attended Earl Grey and then Kelvin High School. 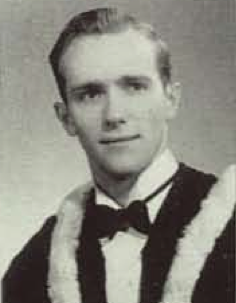 In 1951, he obtained his degree in Architecture from the University of Manitoba and was registered as an architect in 1958. He practiced as an architect for 35 years, interning while a student with Moody Moore and Partners. In 1954 he joined the firm and in 1958 became a partner, remaining with the firm until 1970. He designed a range of projects but particularly educational and institutional buildings. In 1970, he worked with Pratt, Lindgren, Tomjec and Snider specializing in industrialised buildings and motor inns. Don Wookey was active in community organizations such as the St. Vital Y.M.C.A., Glenwood Community Club, St. Vital Curling Club, Glenwood Community Revitalization Program, St. Vital Senior Centre and St. Marks Church. Winnipeg Free Press, Obituary, 12 July 2001.